Top: Banana Republic. 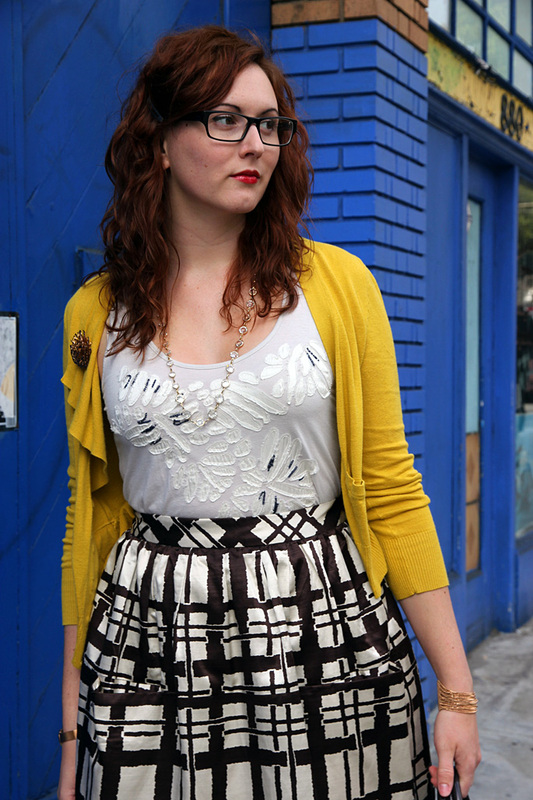 Cardigan and Skirt: Anthropologie. Shoes: Fiel. Brooch: Vintage. Necklace: Vintage. Watch: Skagen. Bracelet: via SF Made. Bag: Kate Spade. cute yellow cardigan! great outfit!